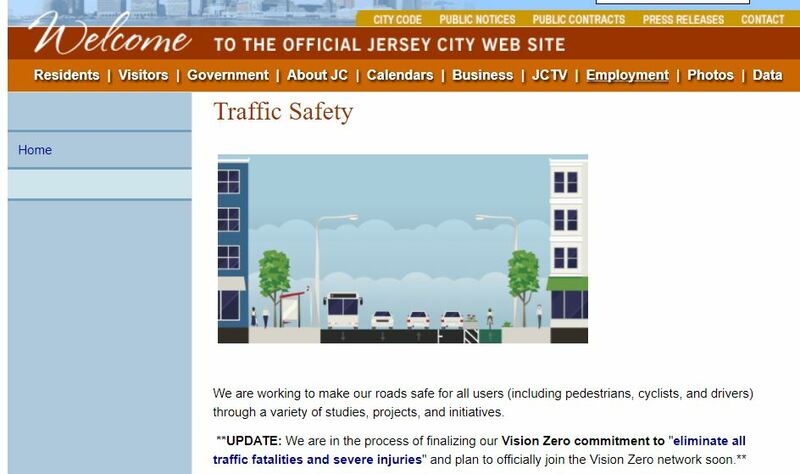 Due to our advocacy and efforts, the City of Jersey City has launched a new page on their website outlining their new commitment to Traffic Safety as a top priority. The site is an overview of the current projects and those in the pipeline that have come out of the Traffic Safety Working Group that Safe Streets JC pushed for and sits on. Check it out! Kara has contributed 12 entries to our website, so far. View entries by Kara. 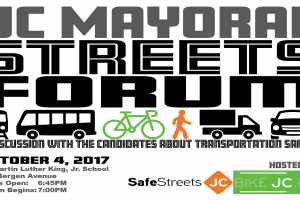 Join Us Oct. 4th for the JC Mayoral Streets Forum!